Mama Love: 5 Easy Steps For the Best Sunless Tan!!! I have a confession I have never ever in my whole life laid in a tanning bed, may not seem like that big of a confession, but where I grew up everyone "tanned" I mean all the girls in my school were heard almost daily saying "I'm going to go to _______ and lay in the tanning bed for 20 mins then we can _________", so I was surrounded by bronzed to perfection tan-aholics! I was lucky though wasn't super pale, I actually was pretty dark naturally when I was younger, then I had kids and I think they drained the color from my skin, So I've resulted to "Fake-Baking" "Sunless tanning" whatever you want to call it and I've had some bad experiences with it and think I've finally got it down to a perfect routine so I thought I would Share, since winter is finally over and it's shorts season! Why do I Sunless Tan?! I Think I Look Better With a Tan! I am in No Way bashing on Pale-ness, Some People look wonderful pale, but not me and I honestly think most people look better with some color to their skin! Yes tans make those jiggly legs & cellulite way less noticeable, I think you look healthier, thinner, and I Love how the red marks and imperfections on my skin tend to disappear when I’m tan! 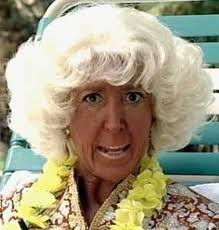 But unfortunately, the down side to self-tanner is, if done incorrectly it can make you look orange, dirty, leave you streaky like a orange and white zebra, or make you smell horrid! SO That's where this post comes in, hopefully my tips and tricks will turn you into a Sunless Tanning Goddess! You don't want to look like this!! This stuff is UH-mazing and just trust me I know it's a little more than the lotion at the drugstores, but do you want a real looking tan or what?! They sell in wholesale sizes or smaller sizes (4oz 8oz etc) Lotions and Sprays! With Million Dollar Tan you will honestly have a tan that will leave you feeling like a million bucks!!! With their Tan Icon Extreme - Dark Sunless Tanning Spray, you instantly see difference and never end up looking orange or streaky, I mean this stuff is 100% Legit!! 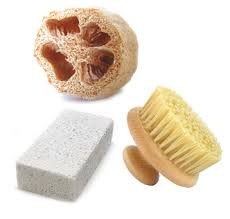 And there is no smelly to it and your tan will keep developing for up to 8 hours! DO NOT PUT LOTION EVERYWHERE!! · leg spray it all over and blend it in. then move on to the next leg (always remember to go easy on Knees & ankles)! · Arms I spray and blend pretty simple except watch out for those elbows and wrist make sure you don't use too much and blend it well! · Face: I mix in the tanner with my moisturizer and just apply it like normal I always gradually add the amount in but adding it to the moisturizer works best!!! but with Million Dollar tan you simply spray and blend really that simple and the color always turns out completely natural looking!!! After Appling the tanner DO NOT Shower or get wet (sweating etc) for at least 6 hours! I usually try to make it 24 hours so the tan will last longer! Reapply at least every 3-4days if you are trying to build your tan I usually reapply after every other shower (if that makes sense) until I've reached the color I want! 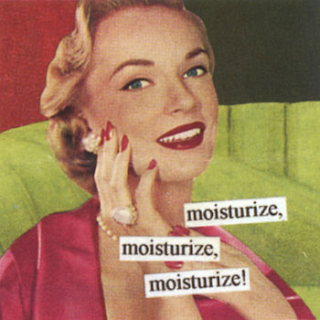 And don't forget to Moisturize if you want to keep that tan then you have to keep your skin MOSTURIZED!!! 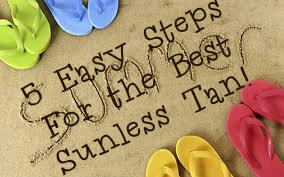 Follow these steps And you will look Flawlessly Tanned !! Do you Have any other Tanning Tips?